‘Outside the Box ‘ by Brenda Henning. Pieced by Carmen Dickinson, quilted by Ginny Sirois, both from Norridgewock. 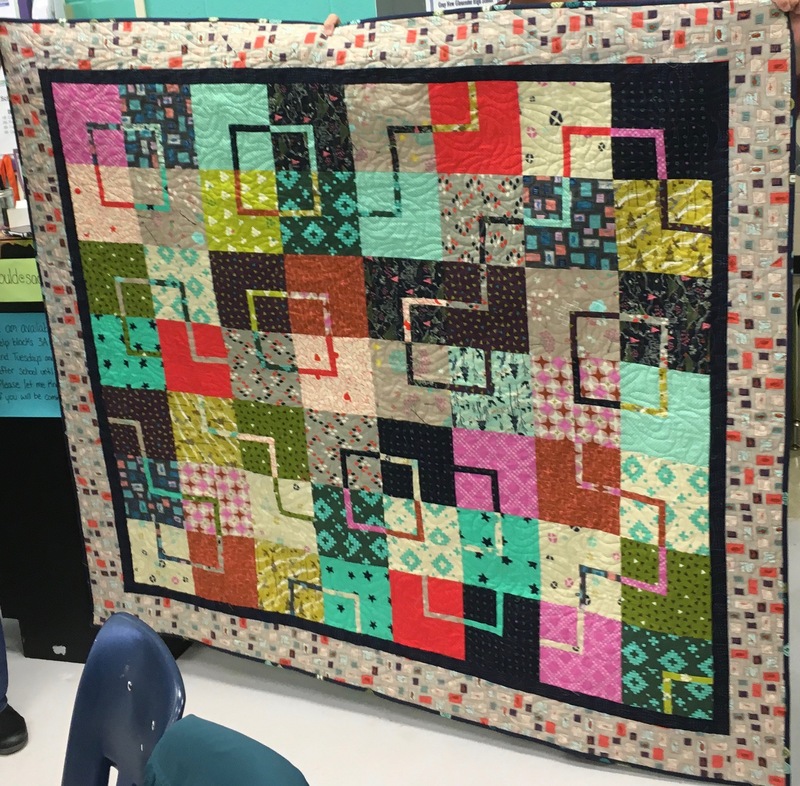 Maine Quilts 2016 workshop. Fabrics are Cotton and Steel.